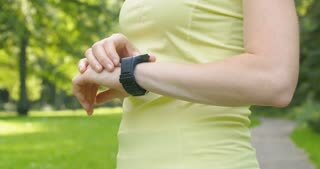 Female runner using a sport smartwatch in a park while jogging. Runner using smartwatch fitness tracker and heart rate monitor watch jogging on trail in forest. Female athlete checking her cardio training data during workout outside in running park. 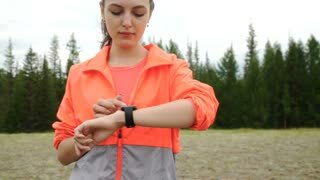 Female runner using a sport smartwatch in a park before going for a run. Female runner using a sport watch in a park. Female runner using a sport smartwatch in a park. 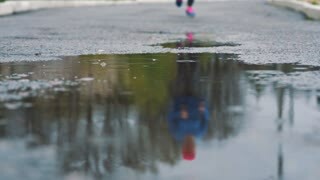 Slow motion shot of a female runner using a sport smartwatch in a park while jogging. 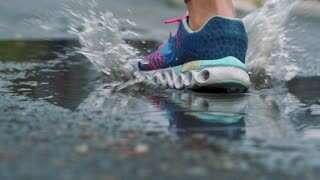 Close up shot of legs of a runner in sneakers. 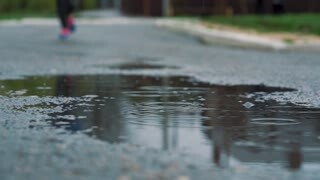 Female sports man jogging outdoors in a park, stepping into muddy puddle.